A player’s board showing their card slots. 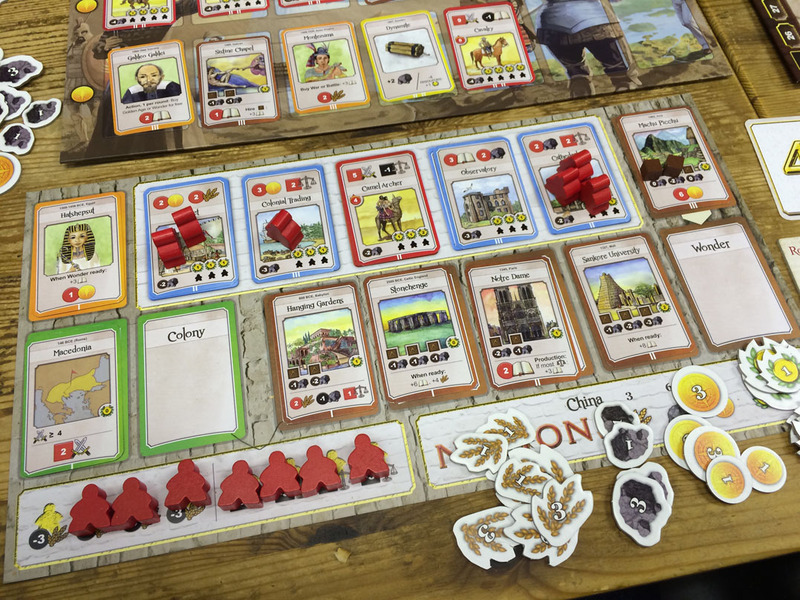 The first thing that strikes you about Nations is that it’s a civilisation game without a geographic board. 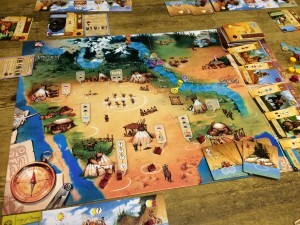 Instead, Nations’ more abstracted approach to a civ-themed game delivers a very tight, and different, game for gamers. Francis Drake was one of my favourite games at Spiel 2013. 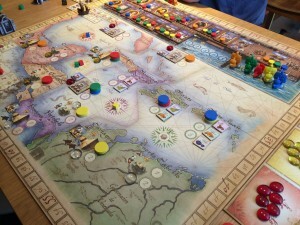 A game of sailing, looting and plundering, but with strong eurogame mechanics and some psychological interplay between the players. 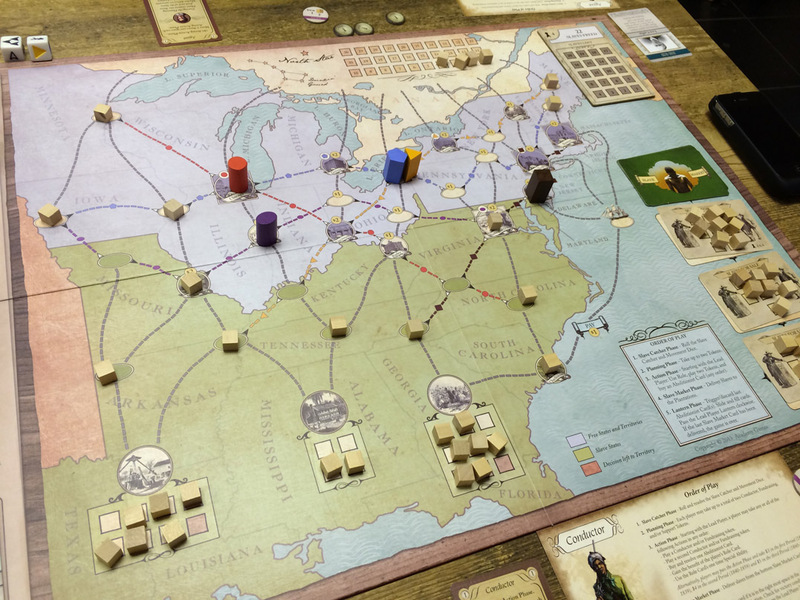 One of my favourite board games ever is Oregon (which was the game the designers of Rattus made before Rattus). 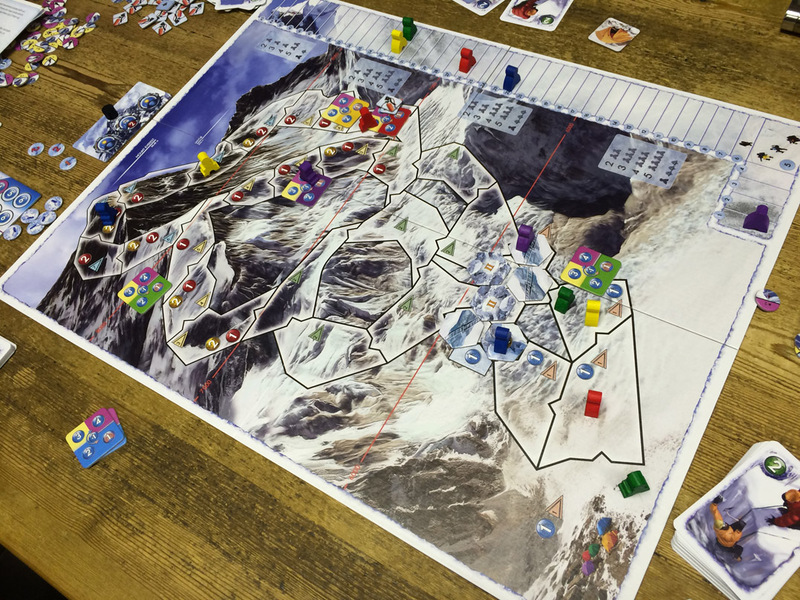 So, after many Rattus expansions, I was very excited when the Bergs announced a new, original game called Packet Row with a very interesting game mechanic. 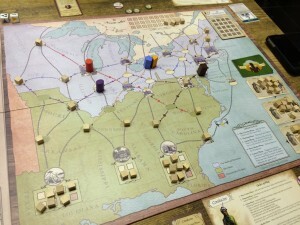 The game is set in New York in 1842 and players are trading companies. 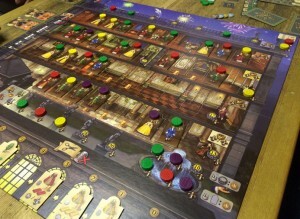 The game board is comprised of 4 boards (Docks, Bank, Market and Guildhall) where the cards for each board are displayed. 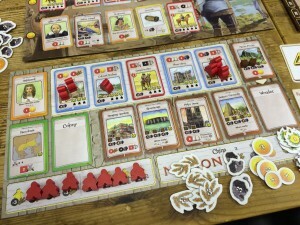 The primary method of earning money is by completing contracts (Guildhall cards) which can be fulfilled by having the goods (Market cards) and ship (Dock cards) shown on the contract. Money can also be gained from the bank (Bank cards), plus various other cards in all areas have some special effects too including some being worth victory points (VPs). 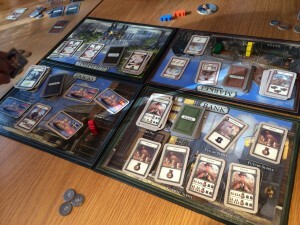 At the end of the game, players add up their VPs from cards that show VPs, cash (divided by 10), and banker cards (if they have the most cash) – most VPs wins. This means cash is vital because most cards cost money, and cards can earn you more money, VPs and special abilities. My attempt at ‘Wheel of Fortune’ using TV show with ideas as the main concept. 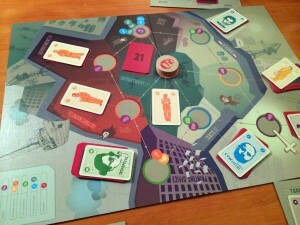 Then, adding a sub-concept of Title with circle, rotate & cash. Then, adding a sub-concept of Country with Red, White, Blue & Star. Anyone? Anyone? Bueller? 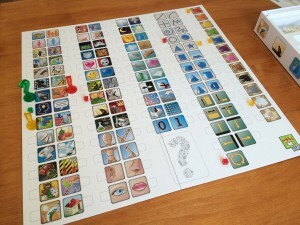 Concept is a party game that is a bit like charades without the acting and players use a board with icons to convey the various concepts so the other players can guess the correct answer. 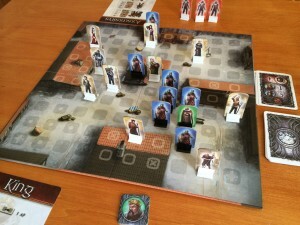 Each turn, the players whose turn it is draw a card and choose which word/expression they will try to convey by placing coloured markers on the different descriptive icons on the board. Player aid sheets show all the icons with 2 or 3 things that each icon could mean (although players can use them to mean anything they want). Icons show things like colours, shapes, parts of the body, etc. and some have broader potential meaning like a figure with a walking stick can mean Old/Ancient/Past. To convey a word/phrase, the current players place various markers on these icons. There is one green question mark marker with green cubes (which is used to describe the main concept) and 4 different colour exclamation mark markers with matching coloured cubes (which can be used to describe additional sub-concepts).